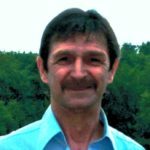 James C. Kratzer | Gerth Funeral Service, Inc.
James ”Jim” Carlton Kratzer, 69, of Memphis died Sunday, July 22, 2018 at the Scotland County Care Center. Jim was born July 28, 1948 to Oswald Dewitt and Madeline (Mathes) Kratzer in Downing, Missouri. The family later moved to Warsaw, IL where Jim attended grade school. When Jim was in the sixth grade, his father passed away. After his father’s passing, the family moved back to Scotland County where Jim attended and graduated from Memphis High School in 1967. While in high school Jim spent his Saturday’s in Burke’s Pool Hall where he became quite the pool shark. Countless days and evenings were spent under a shade tree with friends developing his natural mechanical skills working on anything that needed fixing. During high school he was also employed by Hines Sale Barn and spent many summers bucking little square bales of hay to earn extra money. Jim enjoyed FFA and had sheep project on the family farm. Living in the country, Jim also became an expert horseman which turned out to be a useful skill since it served as his main mode of transportation prior to turning sixteen. Even after transitioning to four wheels, Jim continued trail riding, competing in local horse show speed events and ultimately joining Coffee Ropers located in Downing, Missouri, where he also participated in team roping during the summers. He married the former Kathleen Crook in August 1967 and they moved to Ft. Madison where they both worked at the Iowa Army Ammunition Plant (IAAP). They moved around a few times. Once to Burlington where Jim worked for a Chevy dealership, Archer Motor Company, where he also furthered his mechanical training. Later, the couple moved to a farm in Yarmouth, Iowa when Jim went back to work for IAAP. Jim began to spend his Saturdays at the Middletown, Iowa Sale Barn where he was able to purchase his first Hereford Bull and Angus Heifer. In 1970, they moved back to Missouri to Kathleen’s childhood home. In 1972, they purchased the Ward McConnell Farm where they raised their two children: Julie Ann and Nicholas James. The farm was rich with timber, packed with an abundance of wildlife, which allowed Jim to hone his hunting skills. He became an expert hunter, trapper and marksman. Jim’s hunting prowess provided meat for the family: from turkey to deer, and rabbit to squirrel. He trapped and hunted fur bearers to sell the hides to supplement the family income, while farming. He worked as a Massey-Ferguson mechanic in Downing and then was employed at Burdett Auto Salvage until they went out of business. Jim continued to farm while managing his own business, Kratzer Auto Salvage & Sales. He took on an additional job at Mid States in Milton to provide insurance for the family. He worked there as a machine grinder. Jim’s work was always precise, so precise in fact that the welders were never happy when he was absent! He worked at Mid States until his retirement. Family was the most important thing in his life, followed closely by his love for muscle cars. Jim competed in drag racing in Kahoka and at events all over Iowa. He loved working with other children as he helped coach third grade basketball when Nick began to play. Jim also enjoyed working with the kids in 4-H. He was skilled with horses (he was even a jockey for a couple of years when Memphis had horse races). He was very competitive and liked to play games of any kind, always playing to win. Jim’s desire to win often led to him being disgruntled when he would play chess with his father-in-law, as he could never beat him. Upon his retirement, Jim managed the Memphis Pool Hall where he met his trusted sidekick 8ball. His granddaughter, Kallee, visited him often at home and was the light of his life. Jim’s knowledge of making things run, his sense of humor and his wild spirit will be greatly missed by many. Jim was preceded in death by his parents and brothers: Gene, Larry and Tim Kratzer. He is survived by: two children, Julie (Keith) Aitkens of Ashland, MO and Nick (Candace) Kratzer of Memphis; four grandchildren: Alexis Dodge, Gage Dodge, Grace Aitkens, and Kallee Kratzer; one sister, Carolyn (Marion) Huls of Kempner, TX; two brothers: Jack (Jean) Kratzer of Ft. Madison, IA, and Chuck (Betty) Kratzer of Donnellson, IA; his dog, 8ball; many nieces, nephews, cousins and friends. Julie, so sorry to hear about your dad’s passing! He sounds like a great guy and I’m sure he was very proud of you! Sending prayers & hugs! Sorry to hear of the passing of Jim. He was a classmate in high school anda friend. Prayers to all the family and friends along with our condolences.